Product prices and availability are accurate as of 2019-04-10 11:47:19 EDT and are subject to change. Any price and availability information displayed on http://www.amazon.com/ at the time of purchase will apply to the purchase of this product. Flexible. Fast. 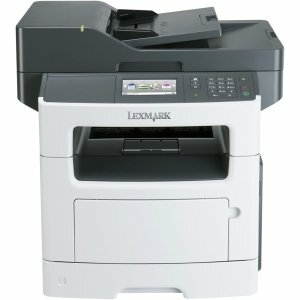 Feature-Rich.The Lexmark MX511de MFP with print, copy, fax, scan and email functions prints up to 42 ppm. Included are two-sided printing and 350-sheet standard input.